I LOVE BlogOn conferences – so much that I’m speaking at the #BlogOnXmas conference in September – and very excited to be doing so. I’m going to be speaking about taking photos of your little ones – you know, those fast moving, uncooperating creatures that you so badly want precious photographic memories of? Anyway, this time I’m making the trip to Manchester as kind of a test run for driving times and to see how things are done ‘Up North’. At least that’s my excuse for a weekend away immersed in blogging. So, here we go with the ice breaker! Share a recent picture of you! Wow, I don’t think there have been so many photos of me EVER on my blog outside of this post. This is probably going to cost me subscribers. I’m a bit less black and white in real life than above. I’ve been blogging for about 5 and a half years now – I first got hooked reading a blog called the Suchniak Six when I was pregnant with Lyoto. I just couldn’t wait to read about their adventures, especially when it was snowing and I was stuck indoors like a Christmas pudding. It went from there – I loved all of the American blogs I read and wanted a digital scrapbook just like that so that my parents could see photographs of our boys growing up when they weren’t near them – and then it got exciting and kind of snowballed. I learned to use my camera and got bitten by the bug. That’s an easy one – we’re the Jones Family, and the blog was started for my parents to keep up with our adventures. There’s nothing snooty behind it I’m pleased to say, although every time I read the words Keeping up with the Joneses, I get paranoid that someone’s talking about me, haha. So many opportunities! My boys have met their favourite authors, been to France glamping, enjoyed days out in gorgeous clothing – and I’ve gained so much more happiness in my life. I have the chance to be something more than mom again. 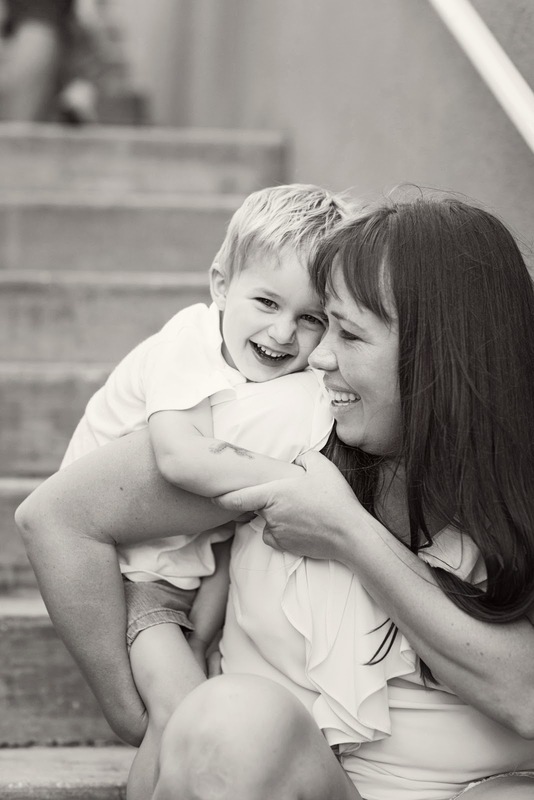 I looooove being a mom, yet I had no idea how much I would miss the validation of my career. Don’t get me wrong, I LOVE staying at home with my boys, but through blogging I’ve met amazing people, and pushed myself to learn skills I never imagine I could grasp. I’m still learning. Now I’m a photographer, and I say that with huge pride. Spending time with my Granny. She put so much love into my life and I miss her every single day. No one else ever made me feel as happy to be me as she did. She loved and told me all of the time how special I was – and that’s what little people need. a] I love Welsh rugby and played tight head prop for my rugby team in the nineties. I’d still play today if I was fit enough and my husband wasn’t scared I’d break something. For the record, I’ve only broken my cheek [headbutt], hand [punch] and elbow [tackle]. My ears are beautiful, especially for a prop. b] I’m a Disney bride, and danced with Mickey Mouse at my wedding in Florida. c] I can speak, read and write Japanese – although I’m rusty now! d] I trained as an Army Officer. Instagram – unless I really trust you, I’ll show the happy little moments in my life, but you’ll never see behind the scenes. Our wedding song – Motorcycle Emptiness by the Manics, and Life is a Highway – Rascal Flatts. That one reminds me of my husband and our honeymoon. I also love Mark Ronson’s “Uptown Funk” or “Shut Up And Dance” by Walk the Moon if I’m dancing with the boys. I dance over enthusiastically and although they love it now, in a few years they’re going to be mortified by me. Raspberry Tom Collins, with lots of raspberries, made by the mister. I had one years ago and fell in love with it so much that I had raspberry champagne at our wedding in Disney World. I’d forgotten all about my RTC until last weekend’s BBQ when we made some and they were SO good. We had no idea what we were doing so they can only taste better from here on in. Apple pie. Does that count? There’s nothing better than apple pie and ice cream. So good. Especially the HUGE ones at Costco. I buy one for the boys’ parties so I can eat some [lots]. Fish and chips, eaten on the banks of a river. Roll on Summertime! I’d love to spend my entire holiday on Disney’s Castaway Cay. I’ve spent two days there…and I can only imagine two weeks there. Paradise! Snorkelling with only the friendly fishes, swinging in a hammock whilst people bring me cocktails, eating at Cookies BBQ…. Ahhhh….. The Shutterbug apparently. I’m not sure what kind of superhero I’d be, but I’d really like to be some kickass amazing one – I mean, I want to get my hands dirty and fight. And I want to wear something sparkly. I tell the boys I’m like the Hulk – always angry. I can’t think of a name so Gavin came up with that one. Suggestions welcomed. To heal emotional pain. There’s so much of it and no cure that I know of. We had a vote in our family about this one. Surviving zombies is a serious business. We’ve chosen the magic arrow from Guardians of the Galaxy. No one survives that sucker. Evil. Those who harm children and dogs. Send them all, without helmets, into nowhereness. I dread to think. It can’t be anything dignified. Haha. I hit publish before I could change my mind, haha! I was lucky to have some amazing photographers for those photos, my husband needs a bit of training or I need a tripod! I’m looking forward to meeting you at last – instead of looking at each other’s desktops! That mode of transport tops them all!! Gorgeous photos! I like the idea of a Disney wedding. I have looked into it. We were supposed to get married last year but were let down by our venue who closed down. I do love a good fish and chips as well. With lots and lots of vinegar. See you there. AH, brilliant answers! Looooove Rascal Flatts and Love Guardians of the Galaxy. We saw vol 2 at the IMAX and it was all kinds of awesome! Certified Geek! you got married at disney world? how cool is that! I never knew that you can break a cheek ouch it sounds very painful! See you at BlogOn! I had no idea either until I heard it crunch and then every time my foot hit the floor, it felt like someone was smashing me in the face! Fun times 😉 See you at BlogOn!! !